It’s that time of year when Tennis Shropshire is seeking nominations to recognise the outstanding contributions of individuals and venues across the county. It’s part of the British Tennis Awards, an initiative of the Lawn Tennis Association, Tennis Foundation and 40 county/national tennis associations to highlight the sport’s unsung heroes. Now into its fourth year, it serves as an opportunity to acknowledge schools, clubs, parks and community venues in bringing players and tennis lovers closer to the game they enjoy so much. Just like last year, there’s the chance to make Shropshire nominations in 10 categories: Volunteer award, young volunteer award, coach award, club award, community venue award, education award, disability award, official of the year, competition of the year and lifetime achievement award. Two of Shropshire’s British Tennis Awards county winners from 2017 were also recognised further afield as they went through to the next stage to scoop prestigious regional prizes. Tennis Shropshire’s Fun Competitions, organised by county vice-chairman Simon Jones, was selected as the winner of the Competition of the Year for the Midlands. There was also good news for Monkmoor Recreation Ground after the Shrewsbury venue – led by Josh Price, manager of the tennis programme there – was named as the region’s Community Venue of the Year. 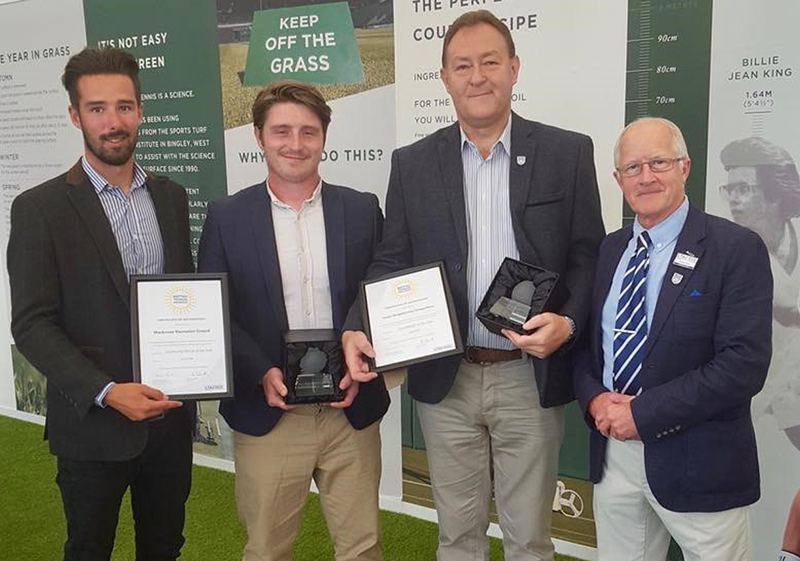 The winners of this year’s regional awards will again progress to the national stages, with the overall category winners presented with their prizes at next summer’s Wimbledon Championships. Sarah Downes, the awards co-ordinator for Tennis Shropshire, said: “Thousands of people enjoy playing tennis thanks to the efforts of so many dedicated volunteers, so we are once again pleased to offer this opportunity to recognise their invaluable contribution. ”We are very proud of the clubs and various organisations which offer tennis programmes throughout Shropshire. “Being recognised through the British Tennis Awards means so much to the people who win, so think of someone you know – someone who has encouraged, motivated, inspired or supported you in the past year. The closing date for Shropshire entries is Saturday, October 13 and they can be submitted online.